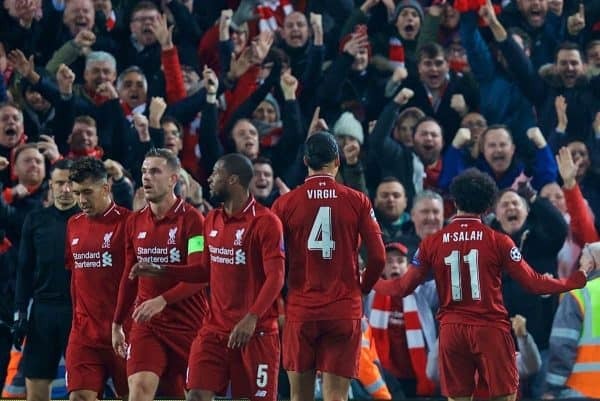 Liverpool secured their passage into the knockout stages of the Champions League with an incredibly tense 1-0 victory against Napoli on Tuesday night. 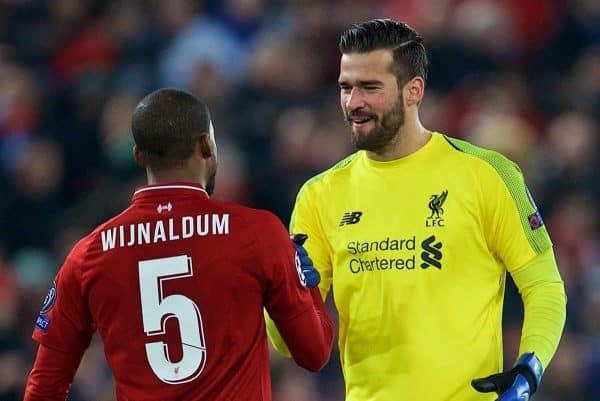 It feels as though the Brazilian is producing defining moments in every single match at the moment, and here Alisson produced one of the moments of the season to deny Arkadiusz Milik in stoppage time from point-blank range. It was a save which exemplified exactly why Liverpool were fully justified in shelling out £65 million to secure one of the finest ‘keepers in world football and ensured Liverpool’s passage into the last 16. One sloppy pass in the first half aside, this was yet another phenomenal display from Liverpool’s goalkeeper. 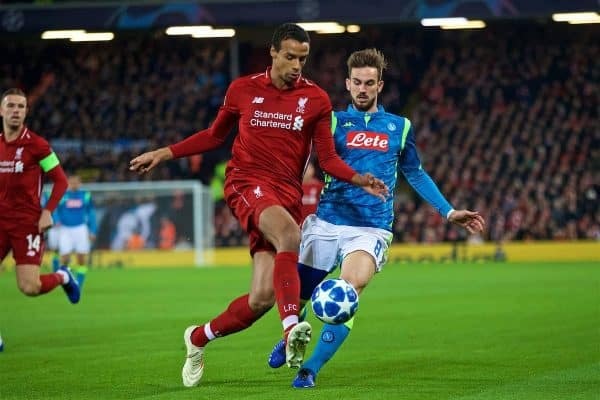 Napoli focused the majority of their attacks down Liverpool’s right-hand side, and Alexander-Arnold had a tough job on his hands dealing with the dual threat of Lorenzo Insigne and the overlapping Mario Rui. He largely coped well, despite getting caught out on a couple of occasions, and offered a constant outlet further up the pitch, supplying several excellent deliveries into the box. His withdrawal late on is a concern ahead of the weekend’s clash against Man United, but hopefully it was a case of cramp rather than any serious injury which will keep him out for any length of time. 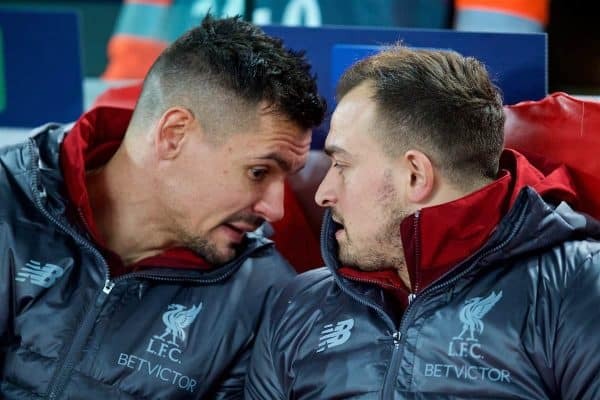 Off the back of a superb performance in Saturday’s 4-0 thrashing of Bournemouth, Matip was preferred to Dejan Lovren in the heart of defence and justified Jurgen Klopp’s decision with another accomplished display. Matip was alert defensively, making numerous important headers and interceptions, positioning himself well to sweep up any loose balls. As ever, he showed ambition on the ball with crisp, forward passes to get Liverpool on the front foot. Another strong showing. 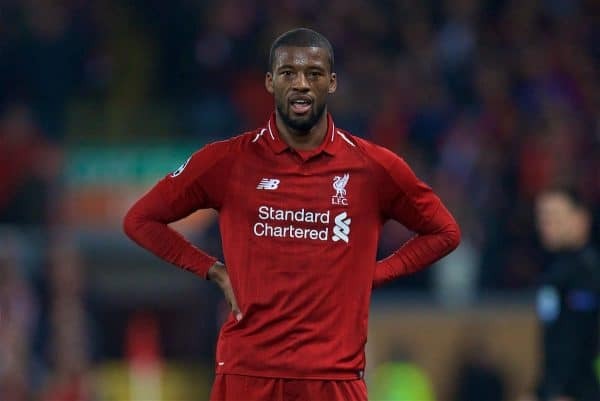 Picked up an early booking in somewhat unfortunate fashion, clearly winning the ball in a challenge on Dries Mertens before following through heavily on the Belgian forward, which earned the Dutchman a suspension for Liverpool’s first leg of the last 16. Otherwise, the Van Dijk was his usual imperious self, making countless vital interventions at the back to sweep up and cut out dangerous crosses, while winning the vast majority of his aerial battles and generally marshalling his team-mates through a finely balanced game to retain the clean sheet. The Scot has been one of Liverpool’s most consistent performers all season and delivered yet another impressive showing against Napoli, both offensively and defensively. Robertson won his battles when needed, but most impressive was his relentless marauding runs up and down the left wing, never afraid to take players on and get himself into the final third. Created an excellent chance for Sadio Mane late on which should have ended up in the back of the net, although he was a touch fortunate to see Jose Callejon fire over the bar after he failed to clear a dangerous cross at the back post. Despite widespread discontent over Klopp’s midfield selection pre-game, this was arguably the captain’s finest performance of the season thus far. 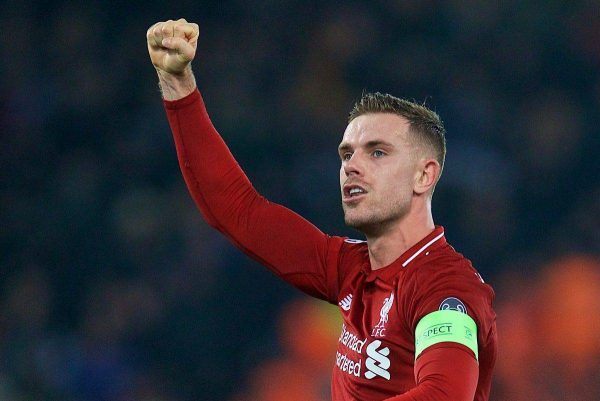 Snapping into tackles, breaking up Napoli’s attacks and offering real drive and purpose on the ball, Henderson led by example and set the tone for an intense display of pressing by Liverpool all evening. This is exactly the kind of performance he needs to deliver more regularly. As with Henderson, Milner was everywhere, shutting down potential counter-attacks and quickly shifting the ball forward into Liverpool’s attacking players. Put in a tremendous shift defensively, and curled a shot narrowly wide of the far post in the second half before being replaced by Fabinho. His experience and composure in these tense situations proved invaluable. Knitted everything together between midfield and attack. Along with Alisson, Salah was responsible for one of two key moments which sent Liverpool through to the knockout stages. Liverpool ought to have made more of their many chances, but it was a moment of sheer genius from Salah which ultimately decided the contest. Dropping a shoulder to burst pass the excellent Kalidou Koulibaly, Salah slotted the ball through Ospina’s legs from a tight angle for what turned out to be the crucial winner. Could have done better with several other opportunities, but Salah’s constant threat and tenacity played a pivotal role in Liverpool’s success on the night. Almost, but not quite a sensational performance from the Senegalese who found himself on the end of numerous golden opportunities, but was unable to take any of them due to some rash finishing and a lack of composure in key moments. That said, Mane’s aggressive pressing and willingness to run at the heart of Napoli’s back line was evident throughout, and he was heavily involved in much of what Liverpool did so well despite not quite having the finishing touch to cap it all off. Another bright showing from Firmino who has shown clear signs of picking up a run of form over the past few matches after a stuttering season to date. The Brazilian appeared more comfortable stationed higher up the pitch, and was far more influential than he has been until recently. Set up a couple of good chances for Salah, and was his usual hardworking self, tracking back to steal possession and set Liverpool on the attack again. Gave Liverpool a much-needed energy boost late on after Milner’s efforts saw him run out of steam to maintain the impetus high up the pitch. Won several important headers in the final few minutes to help Liverpool withstand a late period of pressure. One nervy sliced clearance late on as Liverpool held firm to see out the victory despite Napoli’s late chance in stoppage time. Klopp came under much scrutiny on social media prior to kickoff, selecting the workmanlike midfield trio which underperformed so disappointingly in the away defeat to PSG. 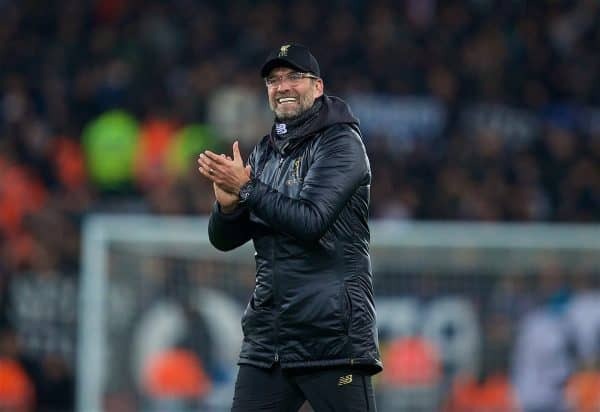 However, there’s a reason why Klopp is considered a world-class manager and his selection ultimately paid dividends, allowing Liverpool to control the game in a professional manner, striking the right balance between defensive security and posing a constant attacking threat. It also means Klopp has Fabinho, Keita and Xherdan Shaqiri all fresh for Sunday’s visit of Man United, and ultimately he was vindicated in picking the right XI to pass an extremely tough challenge to keep Liverpool’s Champions League hopes well and truly alive.